^ a b c d e f g h Herschel, Caroline Lucretia (1876). Herschel, Mrs. John (ed.). 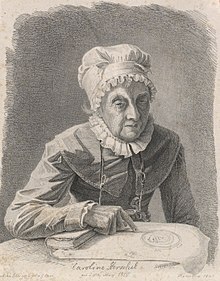 Memoir and Correspondence of Caroline Herschel. London: John Murray, Albemarle Street. ^ Roberts, Jacob (2017). "A Giant of Astronomy". Distillations. 3 (3): 6–11. Retrieved 16 May 2018. ^ Herschel, William (2013). Dreyer, John Louis Emil (ed.). 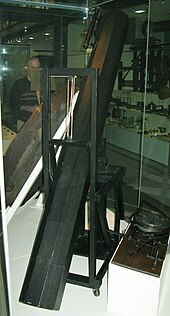 The Scientific Papers of Sir William Herschel. 1. Cambridge University Press. p. xlv. ISBN 9781108064620. Herschel, Caroline Lucretia (1876). 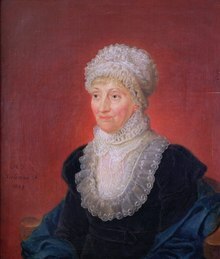 Herschel, Mrs. John (ed.). 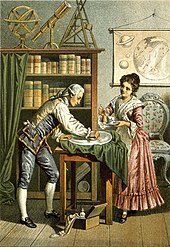 Memoir and Correspondence of Caroline Herschel (2 ed.). New York: Harpers.